Milkshake beer, Hazy IPA, North East IPA, New England IPA, East Coast IPA, Vermont IPA; it’s the hot new thing that all the kids are talking about, and it’s splitting the industry. Debates have raged on social media, in magazines, on blogs, and in bars around the world. And we still don’t even have an agreed name, let alone an agreement if it is a style at all. And it’s made its way down under. Debate recently flared up in New Zealand, leading one brewer to make a passionate Facebook post saying it’s absolutely not a style and beers that claim the status are an embarrassment to the beers of Vermont (home of many proponents of the style). So what is it about these beers that is causing such a fuss? Basically they are a twist on the American India Pale Ale style. Visually they are cloudy in appearance as a result of yeast, hop oils, and left over protein from oats, wheat or even flour. 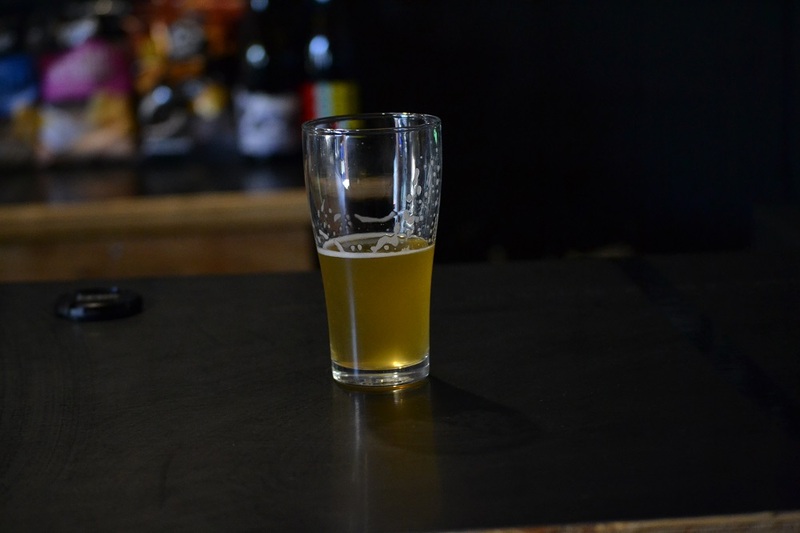 The primary taste and aroma difference to conventionally made IPAs is often described as more “juicy” and less bitter. The hazy appearance can vary from pleasant and bright, to murky and muddy (the google image results for “Hazy IPA” will give you a clearer picture… pun definitely intended). Instead of the usual method of adding hops throughout the boil for bitterness and flavour, most hops in these are added at the end of the boil. The result is lower bitterness and more flavour. Then more are added during and after fermentation. Hopping during fermentation is a process that goes against most brewing literature. Typically brewers are told that when “dry” hopping for aroma that it’s best to wait until after fermentation. This was said to prevent delicate hop aroma oils being lost as the yeast expels gas. The North East/East/Vermont and New England naming suggestions are taken from of the region of the US that popularised these techniques. For an insight into the science behind these beers, I went to Hop Products Australia (HPA). The Australian based hop company that is responsible for developing in-demand modern hop breeds such as Galaxy, Ella, and Vic Secret. Sales and Marketing Manager, and former Moo Brew Head Brewer, Owen Johnston; explains that research into these techniques is still fairly new. However, they do believe that sulphur based compounds in hops, joined to amino acids, are split off by interaction with yeast. This occurs during different stages of fermentation. Many of the compounds are right on the limit of detection. While we can identify them with our senses, Johnston says quantifying them is “almost impossible”. He believes that the US brewers creating the most buzz have struck upon the right combination of ingredients to unlock desirable compounds. One of the theories that many brewers are working off is that the more yeast left in suspension then the more interaction it has with the hops. Hence the use of oats, wheat and flour; which helps keep yeast suspended in the beer. This is also combined with low flocculating yeast – which means the yeast stays in suspension more than high flocculating strains, which compact to the bottom of the fermenting beer. 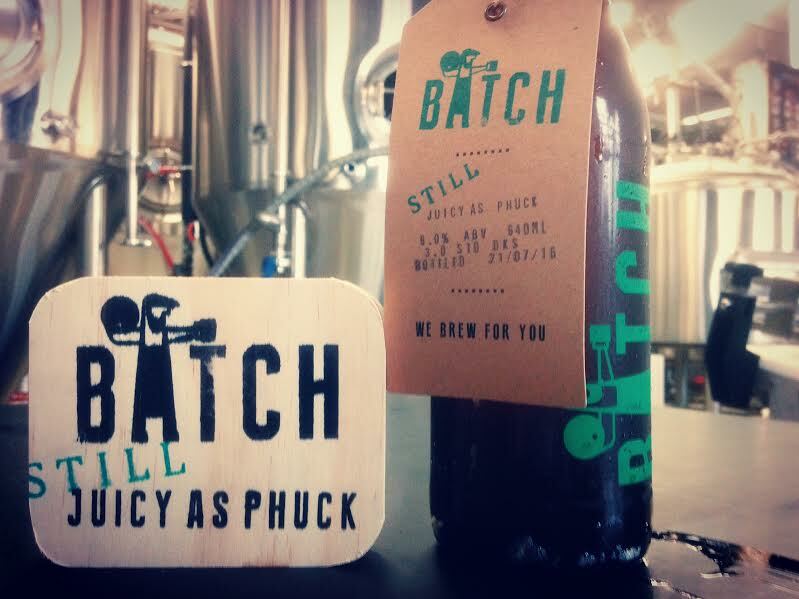 The first brewed commercially in Australia was Batch’s “Juicy as Phuck” IPA. It was inspired by US breweries such as The Alchemist and Tree House who have led the way with these techniques. Brewer Topher Boehm developed the Batch version after seeing the hype and controversy build online. Given the style is best when drunk as fresh as possible, he figured the best way to taste one, was to brew one. They called their version a “Vermont IPA”. “It was born out of interest. We can’t get our hands on them here and I haven’t been back to the States for a while. We aren’t trying to mimic or copy but [thought] if this is such a thing, let’s see what it might taste like,”says Boehm. At time of writing only Morrison Brewery (Launceston), Hop Nation (Melb) and Brooke’s (Bendigo) have all made commercial versions here. With more breweries rumoured to be experimenting with the style. 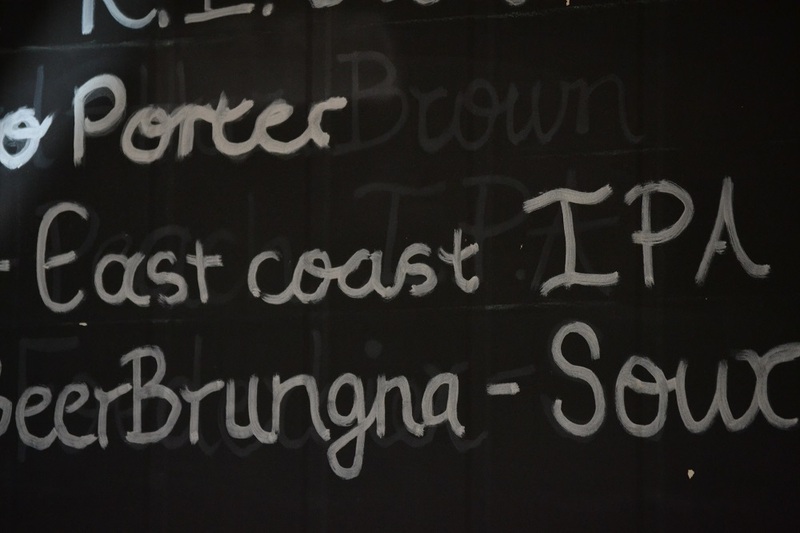 Like Boehm, Doug Brookes from Brookes Brewery brewed his “East Coast IPA” out of curiosity. After seeing the online buzz, it was the research presented by HPA at the Craft Beer Conference in July that prompted him to give it a shot. 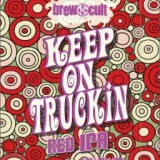 He’s been impressed with the results achieved from using a combination Citra and Chinook hops. “[It has] really interesting fruit flavours. Chinook straight has a really piny character but introduced through the ferment it’s producing apricot and peach. They aren’t flavours at all that you associate with Chinook,” Brookes tells me. The Batch version uses Galaxy, Mosaic, Amarillo and El Dorado hops; with both breweries hopping during and after fermentation. 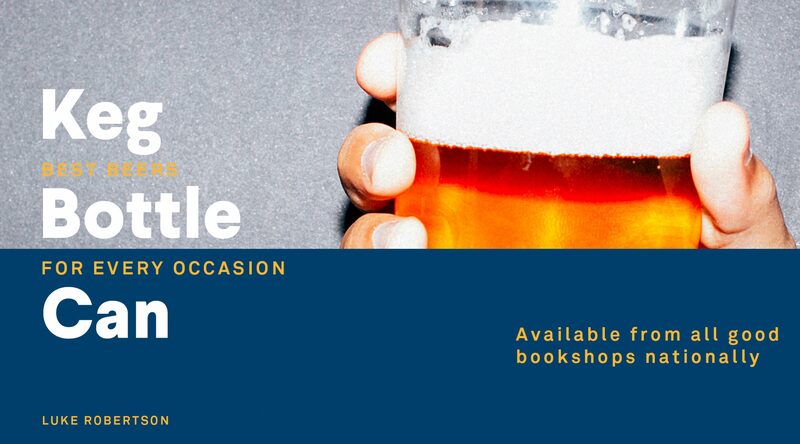 In Melbourne, Hop Nation recently launched their first attempt known as the “Dawn – East Coast IPA”. Co-founder Sam Hambour says the beer was the first brewed in their new Footscray based brewery. “We wanted to give something a go before we started doing some of our staples. We looked at the style and we really enjoy some of the famous ones, [The Alchemist’s] Heady Topper and things like that,” says Hambour. Hop Nation plan to re-brew their version but will trial different hops and yeast. The first used Nelson Sauvin and Citra hops. Hambour found the Nelson Sauvin produced a “unique aromatic spike” when added during fermentation. A lot of criticism is levelled at these beers due to what people call “yeast bite”. Unpleasant flavours as a result of too much yeast left in the final beer; some of which may be dying or dead. These flavours can be described as meaty, sulphury, harsh and unpleasantly bitter. 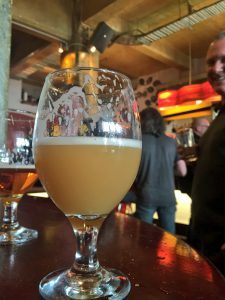 It’s something that Johnston at HPA struggles with, and believes he’s sensitive to these compounds as a result of years brewing Pilsners and Hefeweizens; styles which are susceptible to similar off flavours. For yeast in local versions, Brookes and Hop Nation have used and found success with the classic American Ale yeast strain “US-05”. US-05 isn’t typically associated with the style and usually the famous “Conan” (used by the Alchemist in Heady Topper) and London Ale based strains are favoured by US brewers. The Batch team imported a strain known as London Ale 3; which is said to be used by US breweries Hill Farmstead (Vermont) and Tired Hands (Pennsylvania) for their IPAs. The yeast originated from Boddingtons brewery in England. Hambour admits the end of the Hop Nation kegs can be a little confronting in both appearance and yeast impact. 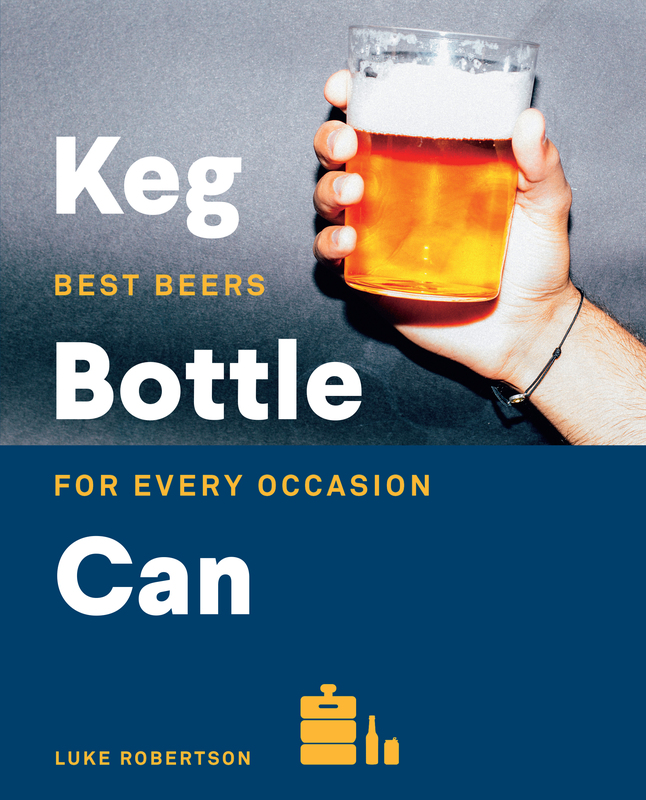 “We’ve served the end of the keg a couple of times now and it gets to a point where I think it gets almost offensive in clarity. And I think that yeastiness starts to warp the hop aroma,” he adds. While the industry hasn’t agreed on a name, or whether this is even a style, there is one thing that can’t be denied: consumers love these beers. 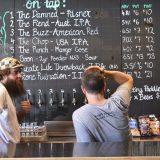 Of the top 25 IPAs/Double IPAs on ratings website “Beer Advocate”, 21 are categorised as New England IPAs (this link also explores the style’s growth in relation to wider beer culture and is worth a read). And if you look closely look at the differences between most beer styles, the actual tangibles are fairly minute. A change in yeast, a small amount of malt, or a different hop variety will produce different flavours and different colours. These differences are generally what determine “styles”. New processes and changes to the grain bill, whether they be flour (Brookes), or Wheat (Hop Nation); are helping produce compounds that aren’t found in traditional IPAs. If that’s not enough for it to be considered unique then I’m not sure what else is needed. A very low percentage of specialty malts is the difference between a Red IPA and a regular IPA. Storing beers longer, and at cooler than normal temperatures, led to “lagers” being invented. If storage temperature is enough for a style to be born, then why isn’t unique biotransformation triggering the release of polyfunctional thiols from amino acids*? What more do people want in 2016? While Johnston at HPA is still unsure of the beer’s place in the world, he does believe beers like these are important to the makeup of the industry, saying that “delivering diversity and different flavour profiles is part of the core promises of craft”. Both Brookes and Boehm also say they are excited for the style as it’s a move towards hop-flavour rather than excessive hop-bitterness. “I think its a more drinkable beer. Anytime there’s an amount of restraint, especially with bitterness, I’m happy,” Boehm says. Whether you like it or not it seems hazy NEIPAs (whether NE stands for New England or North East) are going to be around for a while yet. While they may not be for everyone, it’s hard to deny that there is something interesting happening here. And to me, that’s a big part of why I like good beer. The appeal of trying something fun, tasty and sometimes challenging. NEIPAs embody those ideas just as much as any other style. Next story Long White Who? Boddingtons Brewery in London? Do you not mean Strangeways, Manchester? Well actually somwhere in Lancs now, but certainly not London. My mistake – fixed up now. They call it London Ale III so I just assumed. My geography isn’t the best!